Zaporozhye region - a fertile land, where people live long. The proximity of water and fertile land have contributed to life in these places. The history of the Zaporozhye began with the appearance of the land of the Cossacks, who come here from all over Russia. Despite their warlike customs, it was a very decent and honorable people, read other faiths and communities. Today, the younger generation Cossack gets friendly with people of different religions, which the city has a lot. 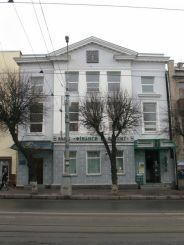 Among them are the Jewish community, who number in Zaporozhye has about 2500 people. 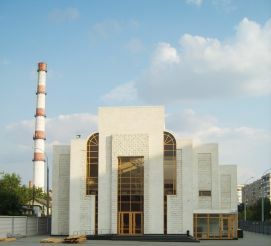 In 2012, the city of Zaporozhye marked the opening of the synagogue, which is considered one of the biggest in Europe. 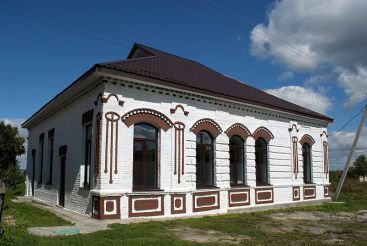 "Giymat Rosa" was the second synagogue in the city (old located on the street Turgenev) and the second in the country, built in the years of independence. The construction of the temple lasted for seven years. In the building it has been spent more than 9 million. Hryvnia. Called a temple in honor of mothers sponsors construction. The prototype architectural structures served as the most famous temple of Jerusalem. 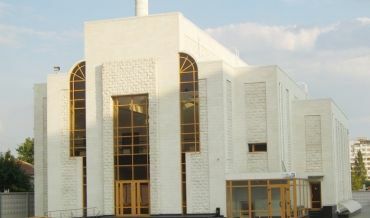 Synagogue "Giymat Rosa" seats 450 people. The temple is lined mined in Crimea snow-white Jerusalem stone. 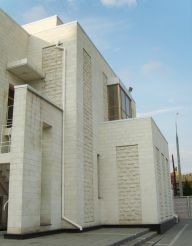 The majestic noble building of a new synagogue can be found without much difficulty. 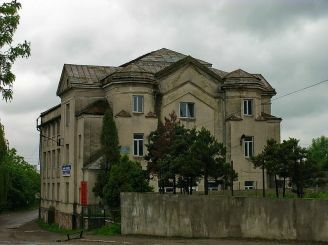 This large building is situated at the intersection of the Heroes of Stalingrad, and Gryaznov. 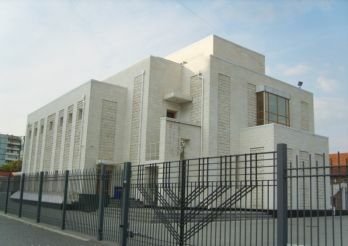 For the 10,000 Jews who lived in Zaporozhye, and others interested in the religion of the people, the temple has become a place for peace and privacy. Here everyone can find spiritual peace and enrich the soul.